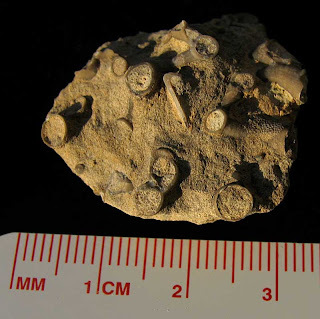 This blog posting highlights four fossil specimens of unprepared Aulopora coral found in the Silver Creek Limestone of Clark County, Indiana. 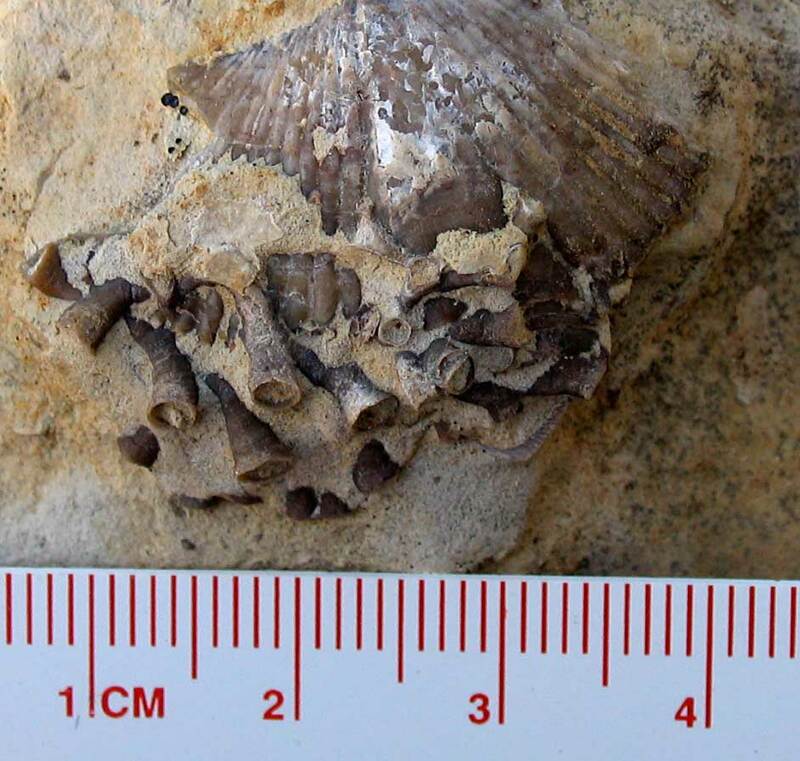 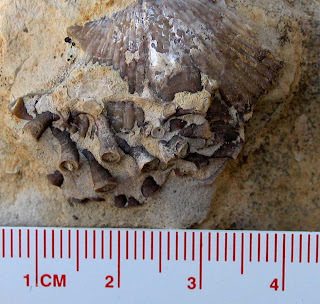 The first picture shows the most extensive colony that attached to a spirifer brachiopod. It should make a nice display fossil once the sand abrasive cleaner has processed its surface. 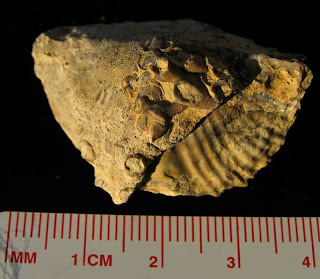 Earlier this year, I read about an Aulopora fossil on the Wooster College in Ohio blog in which the author talks about the protocorallite (the origin of the colony). 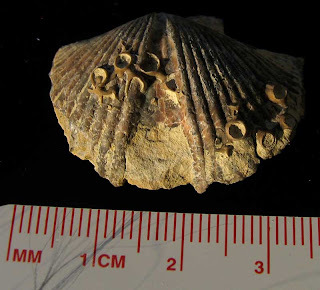 I am hoping to find origin points on some of these specimens.